Falmouth Yachtsmen Varsity beat Gray-New Gloucester 3-2 in seven innings on Wednesday at Falmouth HS behind Connor Aube, who went 1-2.He singled in the first inning. Cam Guarino struck out 10 Gray-New Gloucester batters. Guarino allowed two earned runs, one hit and one walk. He pitched a complete game. St. Pierre was the game's losing pitcher. In six innings, he walked five, struck out one, and allowed three runs. Falmouth Yachtsmen Varsity jumped out to an early 2-0 lead in the bottom of the first. 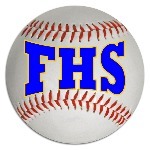 Connor Aube singled to ignite Falmouth Yachtsmen Varsity's offense. A single by Robbie Armitage then moved Connor Aube from first to second. Caleb Lydick singled, plating Connor Aube and Armitage. The Patriots’ hit was a two-run homer by Thomas Wood in the fourth inning to make it 2-2. The Yachtsmen won it on a wild pitch in the seventh.